The vellum ornaments I've mentioned in a previous post, besides hanging from a ceiling, can hold lights inside and serve as handmade lamps. 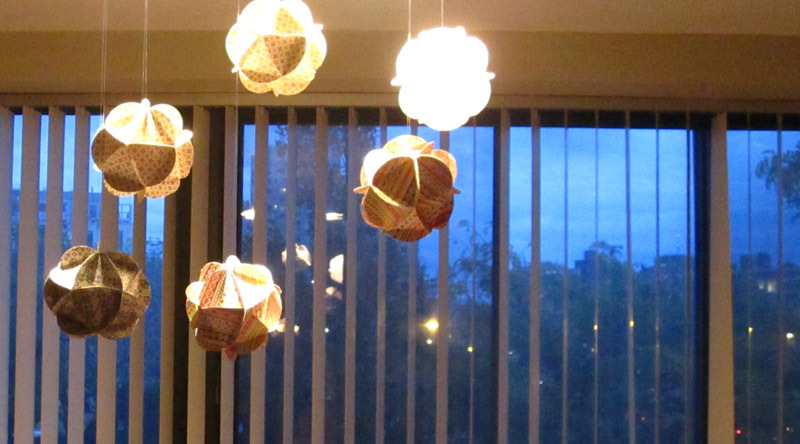 The vellum lamp shown above holds 10 LED string lights. 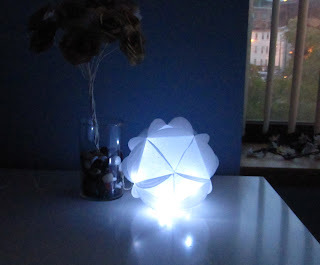 I currently have it on a dresser in the bedroom where it glows in a bluish light. 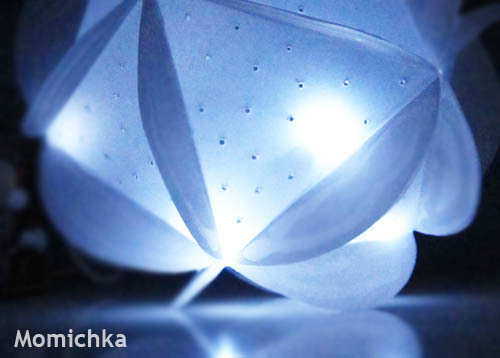 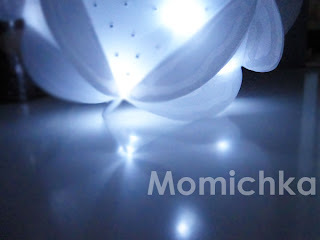 I plan to get more LED lights and make lamps in different sizes and colors. 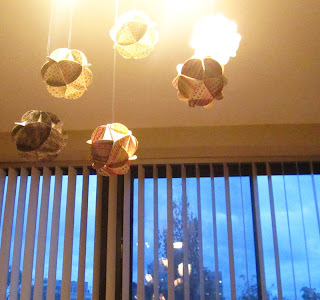 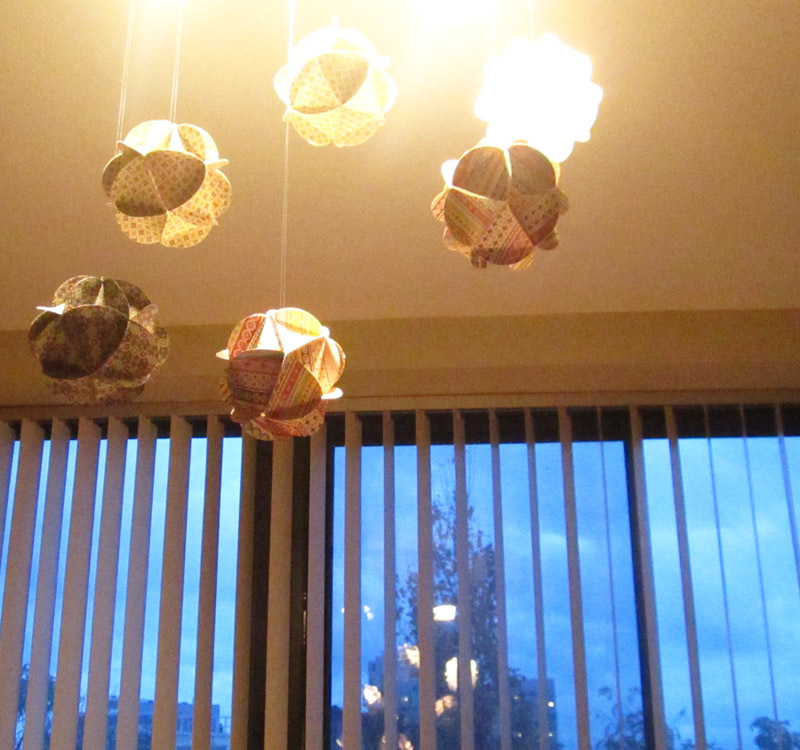 Here are more examples of my hanging paper and vellum ornaments- all made by hand.